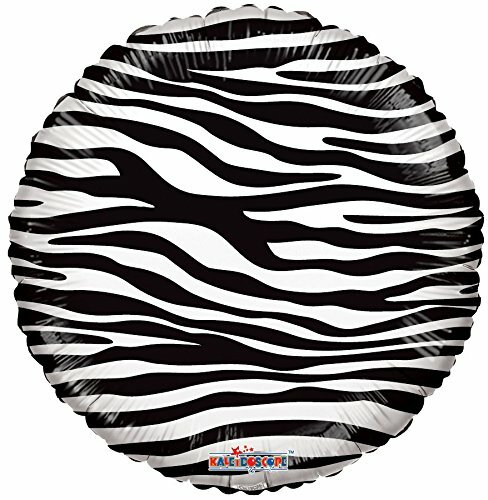 Celebrate your special occasion or event with these dazzling zebra animal print foil balloons. these vibrant, eye-catching Mylar balloons instantly make a party come to life. Featured in a convenient, 5 ct. Package, these foil balloons will stay inflated (with helium) for up to 1 week. mix and match with latex and foil balloons to create fun, festive balloon bouquets as easy party decorations that make a major impact. tether your helium-filled balloons with balloon weights to make sure your balloons don't float away. If you have any questions about this product by Kaleidoscope, contact us by completing and submitting the form below. If you are looking for a specif part number, please include it with your message.